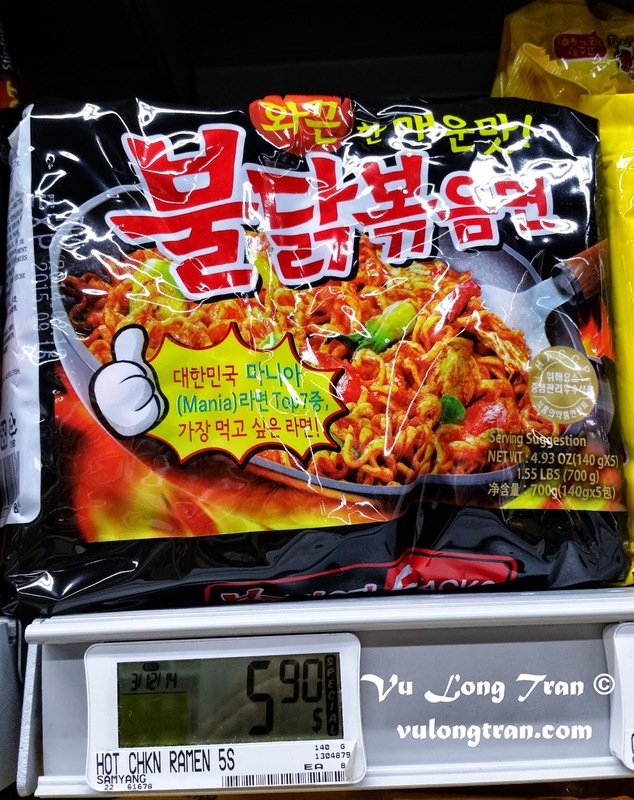 These really hot and spicy chicken noodles taste absolutely delicious! 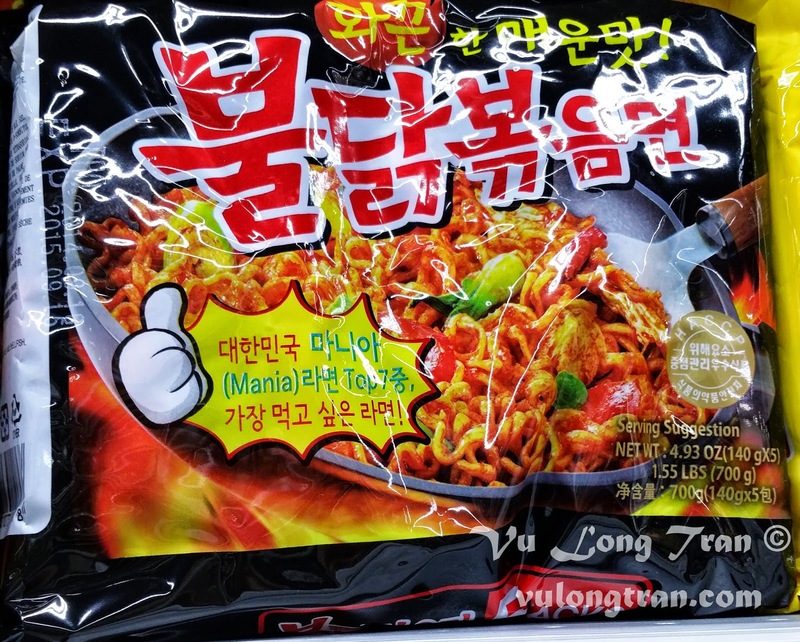 Samyang Hot Spicy Chicken Ramen noodles is probably one of the spiciest noodles that I have ever tasted!!!! I find the only way them reasonably so it's not too spicy is to only cook "one" packet at a time. If you combine more than one packet then it's extremely spicy - too much for me to bear! It's up to you, but that's how I have found them best to eat. It's fairly easy to make to eat, you'll cook thrm just like your typical dry-style fried noodles. If you're wondering, I cook them in two separate saucepans/ pots. One pot to cook the noodles so it is cooked soft, and the other saucepan (frying pan is okay too) is for mixing the noodles into the sauce. 1. Boil hot water, and add noodles in as you would for any noodles. Check the texture and softness of the noodles to your style of eating noodles. Some folks like it a little harder, others like it extra soft. 1. Firstly, adding a bit of oil to the saucepan (so it can spread around the noodles later). 2. Then adding the main red sauce packet and letting it sizzle a bit on low-medium heat. Just enough for it to flavour the oils and spread around the surface of the saucepan. 3. Place the soft cooked noodles into the saucepan and spread it around the sauce so it covers all the noodles. 4. Shake it around the pan and keep it hot and soft. 5. Just place the noodles into a bowl ready for serving. Adding the final spring onion/ greens to the top of the noodles. Tip - The trick to this process overall is to time it so that the noodles are cooked soft and ready to go into the saucepan with the sauces already sizzling. Try not to have the cooked noodles sitting around for too long (so the noodles don't stick and clump together). Tip 2 - Be selective on what bowl/ plate you use to serve these noodles. Expect them to turn red from the chilli sauces from the noodles. I use metal or ceramic bowls normally so it's easier to clean. Tip 3 - If you are making two packets of these awesome noodles. Use only one of the red chilli sauces, don't add in the second packet unless you really like it extra extra spicy! My girlfriend and I went all around Singapore finding these noodles after I tried these and got hooked. I found that they stocked them at Sheng Siong but they were sold out every store I went to. After waiting a week for a new shipment to arrive, but ended up having to wait two weeks for the order to come through - as they kept selling out. I ended up finding them at Sheng Siong Bedok (near the MRT). I also later found these noodles months later stocked at Fairprice. This photo is taken at Fairprice Chinatown Point in case you're looking for them. I am not in any way affiliated with Samyang or Fairprice.